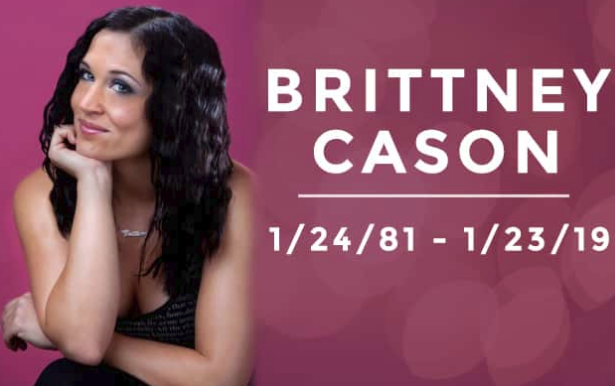 Brittney Cason, the former KOMP-92.3 FM Las Vegas morning radio personality, has died, according to The Las Vegas Review-Journal citing a Facebook message from a friend of her family announcing her death. The Clark County Coroner’s office today also confirmed her death. “At the request of Brittney’s family, they’ve asked me to post a statement regarding her. It is with deep sadness that our dear friend, Brittney Cason, passed away on Wednesday, January 23, 2019. Just mere hours shy of what would have been her 38th birthday. Her family and close friends want to thank all of you who have sent messages, made phone calls, and expressed their deepest condolences over the past couple of days. They are greatly appreciated. Cason’s last Twitter post was a photo Wednesday from McCarran International Airport. She was reportedly in town to interview for a job with Beasley Broadcasting and to celebrate her birthday with friends. Cason’s last activity was Instagram “likes” at noon Wednesday. Her family has not disclosed the cause of her death. The sharp-witted Cason had for years hosted KOMP’s “B.S. In the Morning” show, and had also previously worked for CBS Sports radio, KISS 95.1 FM in Charlotte, N.C., and had freelanced for The Charlotte Observer. Cason did not renew her contract with KOMP last fall, and in November left to return to her original hometown of Harrisonburg, Va. and live for a time with her parents.